Based in New York, Leilanie Bruce is one of Brightworks Sustainability’s Living Future Accredited Professional and a specialist in Healthy and Sustainable Materials. Through recent experience across the United States and in Europe, Leilanie is experienced helping design teams and manufacturers investigate and mitigate material health and sustainability impacts within design initiatives and supply chains. With over ten years of experience in sustainable design and community planning, she collaborates closely with design and construction teams to optimize materials and systems design, procurement, and handling. Nike’s founder pledged $500 million to revolutionize cancer detection and treatment in this new building. Brightworks helped the client screen high-touch, large-quantity interior materials to eliminate known carcinogens, matching the building’s intent. As leader of the healthy and sustainable materials program, Leilanie developed material screening criteria and a relative importance weighting framework, which she then applied to alternative material choices for the design, helping the owner and team make sense of product/material comparisons. On an on-going basis during design, she presents screening criteria to the owner and architect in monthly meetings. See more about this project here. To help Related develop a corporate healthy and sustainable materials program, Brightworks piloted a healthy materials tool, conducted materials analysis and selection, participated in the Pharos project using HBN Health Product Declaration, and provided on-site verification for Related’s Abington Apartments at New York’s Hudson Yards. For this effort for Related, Leilanie completed a gap analysis of current materials specified within Related developments and developed a strategy for achieving Related’s goals and incorporating lessons learned and approved products into Related’s project portfolio. See more about this project here. Brightworks is managing the Living Building Challenge and LEED Platinum program for two dorms, a commons, and out-buildings for the Yellowstone National Park Youth Conservation Corps’ unique youth residential employment program. For this project, Leilanie provided the owner and design team with a primer on chemicals of concern in the built environment, an overview of the tools for driving healthier materials in buildings, and a comparison of the Living Building Challenge and the LEED approach to this issue. She then helped the team screen materials against the Red List and v4 MR credits and explore and adopt strategies for increasing uptake of healthy materials through specification, contracts, and other advocacy tools. See more about this project here. Commissioned by Mark Zuckerberg and designed by Frank Gehry, this new headquarters for Facebook provides an innovative open work environment for employees. By developing criteria to replace conventional toxic materials with healthy and sustainable materials, Brightworks is helping Facebook give all employees the best workplaces in the world. For this project, Leilanie introduced the client to materials criteria, databases, and tools. She also facilitated the goal-setting process with Facebook to select appropriate scoring criteria and an appropriate methodology for incorporating healthy materials into the project. This included review and assessment of over 100 finish and FFE materials for material health and exposure. BizNGO is a working group of businesses, environmental groups, governments, and universities that works to advance chemical safety and sustainability in materials. BizNGO authored the Guiding Principles for Safer Chemicals. Leilanie is part of BizNGO’s Chemicals Work Group, which delivers the Chemical Footprint Project (CFP), where she helps develop key performance metrics, including footprint measurement and management strategy. The Chemical Footprint Project (CFP) is a third-party benchmark designed to help reduce public health and environmental risks from chemical exposure. It is the first-ever common metric for publicly benchmarking corporate chemicals management and profiling leadership companies. As part of BizNGO’s Alternatives Assessment Work Group, Leilanie is engaged with the technical details of alternatives assessment within the State of California. In her capacity as part of with work group, Leilanie is also engaged in the evaluation of alternative assessment initiatives. As part of BizNGO’s Policy Work Group, Leilanie monitors and advocates for state, Federal, and international policy initiatives — such as chemical ingredient disclosure, California Safer Consumer Product Regulations, and TSCA reform — that align with the BizNGO Principles for Safer Chemicals. Mindful Materials is an initiative developed within the design industry to provide a common way for manufacturers to clearly communicate transparency and optimization information for their building products. The Content Group will review material information submissions from manufacturers, and identify and propose new attributes that Mindful Materials should begin requesting from manufacturers. These additions and revisions will to help manufacturers provide greater clarity and transparency for design standards and corporate responsibility reporting. This subset of the Content Group will work with a panel of furniture manufacturers and sustainability news and research organization Building Green to identify the key priority attributes of the Mindful Materials program as it relates to furniture manufacturing. Trained as an analyst at the graduate level, Leilanie also offers expertise in public policy, policy analysis, quantitative methods, and economic policy. Before joining Brightworks, Leilanie was integral to the specification of product alternates for the Belles Townhomes, San Francisco’s first LEED Platinum certified multifamily development, which she completed at WRNS Studios. 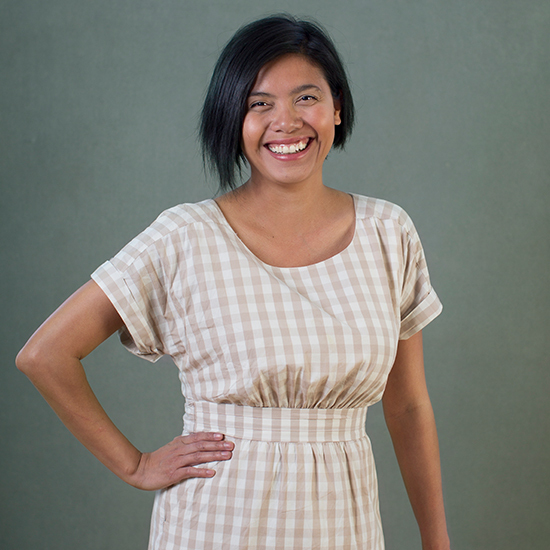 A native of The Philippines, Leilanie is fluent in Tagalog, Spanish, and English.